On February 5, 2017 Jamie had a double lung transplant at Northwestern Hospital in Chicago. This has been a long time coming as in early 2014 he was diagnosed with Chronic Hypersensitivity Pneumonitis, an aggressive interstitial lung disease. This disease causes inflammation in the lungs that in turn develops into pulmonary fibrosis (scaring of the lung tissue). Though he tried every traditional and alternative medical treatment available, his lung function has continued to decline rapidly. Eventually, Jamie has needed to use supplemental oxygen 24/7 and has no longer been able to work. At the time of his transplant his lung function was under 16% capacity; which his doctors said was an indicator not only of the severity of his disease, but also a testament to his strength as they have never seen a patient with such poor lung function. 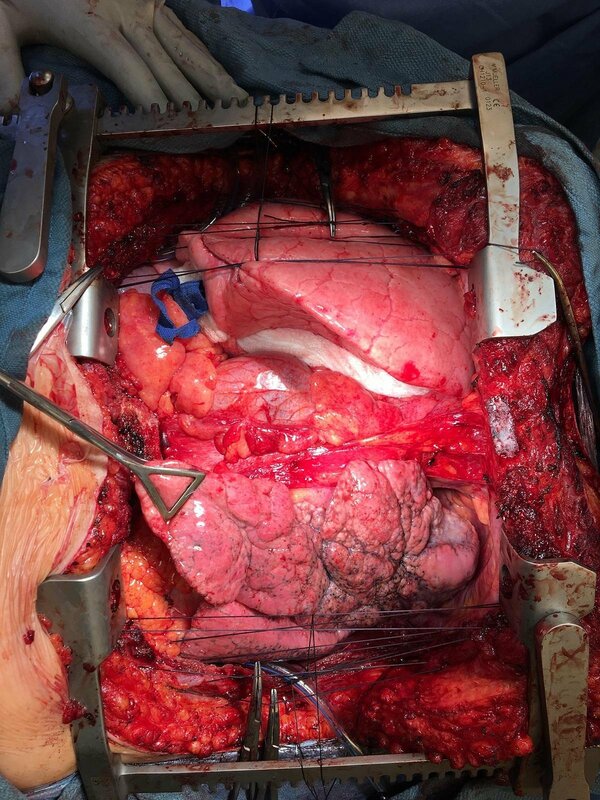 That said, his only hope for survival was a double lung transplant. This procedure is one of the longest, most dangerous, and complicated surgeries that one can undergo, however, so far Jamie is thriving. He has a long road ahead of him with at least several weeks of inpatient care, several months of 24 hour care, and at least a year before he can start working again. After many years of helping his family, friends, and strangers in whatever way he could, Jamie is now the one who needs our help. While the transplant can save Jamie’s life, it is financially draining and there will always be the risk of rejection. Even with insurance, we are facing very high expenses, which include expensive life-long anti-rejection medication, co-pays, deductibles, and out of pocket expenses. As Jamie is only in his 30s and hopefully has many more years to live, this will cause a significant financial burden for the rest of our lives. 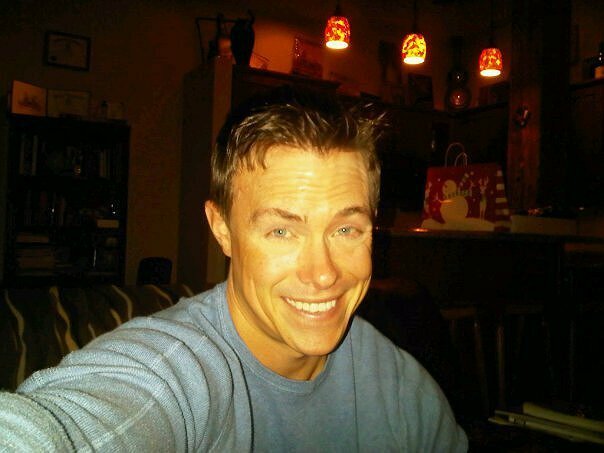 To help with the financial burden of Jamie’s uninsured expenses, his family and I have established a fundraising campaign in his honor with Help Hope Live, a trusted nonprofit organization that has been providing community-based fundraising guidance to patients and their families for more than 30 years. All donations are tax deductible to the full extent allowed by law, and are held by Help Hope Live in the North-Central Lung Transplant Fund. These funds are administered by Help Hope Live for transplant and after care related expenses only. Please consider a contribution. Know that any contribution you can give will be gratefully received and well-used toward getting Jamie back to the adventurous, fun loving, inspirational, outrageous person he has always been. Thank you so much for you thoughts, prayers, and support. So it’s been a long time, here’s a little update. Just did my 8 month check up, x ray, lung biopsy, pulmonary function test, ect. and everything is heading in the right direction still. No infection or rejection, just some pain issues. But the contrast of the new to the old chest x ray really stood out to me. On the right side is my old lungs xrayed and you can see all the white scarring. That is all fibrosis that had lowered my lung capacity down to 14%. I should of been in a coma my doctors said. 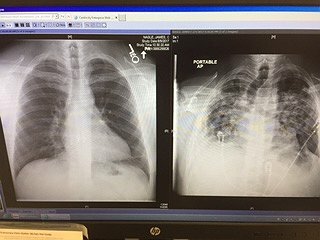 On the left are my all clear / black outlined new lungs. Doctor says they look perfect, that’s what you want. All black, no white. What a difference, I was in really bad shape! Left Side; Current new lung x ray = perfect, you want all black, white spot in the middle is the heart. Right side = old lungs, all the white is fibrosis, it’s so bad you can see my esophagus kinked sideways. How the hell did I breath or swallow at all!?! Our pig roast/BBQ fundraising event was a huge success! “Thank you”, to all of our generous donors and helpers, the support we received from all of you was humbling. The weather on the day of the event was perfect and we managed to exceed our projected goal! Jamie is doing well, he was able to attend the event and personally thank everyone for their support. We couldn’t have come this far without the support of our family and friends! You guys ROCK! Doing a quick update on Jamie because it’s been awhile and I’ve been overwhelmed and bad at keeping people up to date. Jamie is doing well, mainly dealing with some pain issues, but he continues to get better every day. No rejection or infection! He has just stared physical / respiratory therapy, which he’ll be attending twice a week. Just working on getting stronger now that we are celebrating being almost 90 days post-transplant! One developing side effect from his anti-rejection medication is that he now has high cholesterol. Old man Nagle has to take a Statin medication to get that back in check. If you aren’t already a registered donor, please consider doing so registerme.org There are thousands of people who need organs out there! This year April 21 has been designated as National Donate Life Day, with green and blue being the official colors. Keep an eye out for updates from us later this week. HI all. Just wanted to express my gratitude for all of the support you’ve given to Jamie, myself and his family. It’s truly unbelievable. He’s doing pretty well right now. Some questions about whether or not he’s where he should be with lung functions, but we should find out more next week. So far, his medication side-effects have remained more or less under control, still some hand tremors, hot flashes, upset stomach, and insomnia…but it could be much worse. In other news, Jamie had his first bronchoscopy, which is a test to check on infections and the level of rejection in his lungs. The procedure involves the surgeon placing a tube down his throat and then taking several tissue samples from his lungs. We found out this week that he doesn’t have any infections, but has signs of low-level (A1) rejection. While you never want to hear this, his doctors tell us that this is not uncommon at this stage, effecting about 50% of transplants in the first year. He will have to do another bronch in 30 days to check on the progression and if it has spread, a high dose regimen of prednisone would be the first approach to get this under control. He’s finally done with twice daily nebulizing treatments, which lessens the amount of daily “tasks.” Still walking over two miles a day, and in general is feeling very good for this stage of the game. Today Jamie wanted me to include a note about how thankful he is to his donor’s family and the gift of life that they have given him in their time of personal tragedy. He does not know much about his donor (this is done on purpose for all transplants to protect the donor), but he does believe that his donor may be a young male possibly from the southern Illinois area whose death was accidental. He thinks about him everyday, and what his family must still be going through. He wants to convey the importance of the work that organizations like Help Hope Live do for transplant patients around the country, and remind everyone to make sure they are organ donors themselves. Being a organ donor can literally save over a half dozen lives. No matter when we die, being an organ donor guarantees that you go out with “Hero Status” actually saving the lives of multiple people at one time. Who could ask for a better ending than that? Jamie had his first lung transplant clinic visit yesterday and, according to his doctors, things are looking good. He had his first CT scan post transplant, looking for any blood clots in the lungs, and we are currently all clear. Pulmonary embolism is an ongoing concern for transplant patients that must be monitored for life. We did get an explanation, of sorts, for the high levels of pain he’s still experiencing. His doctor said that the more muscle mass a person has the more pain they tend to feel – for two basic reasons (1) there’s more “body” to hurt, thus more nerve endings have been cut that need to heal and (2) muscles absorb and metabolize the pain medication faster than flab. So now Jamie is cursing those years of daily push-ups…. The other issue addressed was the tremors he’s experiencing. While they are not as severe as they were initially – at one point while he was still in the hospital he was having painful full body twitches- he still has some significant hand tremors which make it difficult to do some simple things like putting toothpaste on a toothbrush and cause his, in my opinion, terrible handwriting to be almost illegible. Hopefully with time and further medication management, these will lessen, but there is no guarantee. However, we are still thankful and excited that he is doing as well as he is physically, hasn’t had any problems with infection, and continues to make improvements daily. Jamie was discharged from the hospital last Friday, not even 2 weeks after his transplant. There was some fluid and air retention, which his doctors classified as normal at this point, that kept him inpatient for a couple extra days, but most of his treatment providers were amazed at how quickly he bounced back physically and we’re all glad he has thus far avoided any infections. On Monday, all of his 85 staples were removed, as well as the sutures from his 4 chest tubes. He’s much more comfortable without those foreign objects in him. 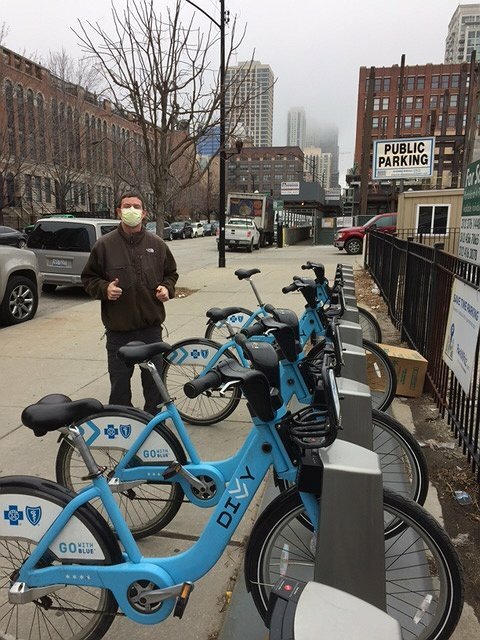 Though he is still in a significant amount of pain, he is able to walk about a mile around the neighborhood, taking advantage of Chicago’s unseasonably warm February. Most of his days are filled with at-home visits from nursing, physical therapy, and occupational therapy. He has exercises to do at least 3 times a day and is still recovering from the lack of sleep from when he was in the hospital. On top of his daily “diet” of 47 pills and 4 nebulizer treatments. Neither Jamie, nor I, could have come this far without all of the amazing support from our family and friends. Thank you for your continued support! Thank you everyone for your support! It’s overwhelming to think about the number of people who are pulling for Jamie! Jamie continues to do well. He’s now able to walk the unit floor without supplemental oxygen. He is dealing with some fluid retention this weekend, but hoping that with medication and more exercise to get that under control. Jamie is making great progress. The threat of immediate organ rejection has been overcome and he was transferred out of the ICU today and is now in the transplant step-down unit. Two of his four drainage tubes have been removed and he’s able to walk, albeit slowly with a lot of breaks, for about 250 feet. While he was intubated on a ventilator immediately after the surgery, he’s been able to breathe on his own with his new lungs for the past 2 days, though still with assistance from supplemental oxygen. While he’s still in an extreme amount of pain from his 22 inch incision (that’s 85 staples! ), his spirits are up, as are his personal clicks on the morphine machine, he hasn’t had to wear pants in the past 5 days, and at least 30 strangers have seen his bare bum. well Jamie, you got me beat by 10" - the family record for incision length now passes to you!! We're so glad to hear that you're doing really well & send our best wishes for your continuing recovery. Get well soon, Jamie. I look forward to seeing you up and around. You are always in my prayers. I don't know you. I know your cousin. But I do know lung surgery well in fact because I had it. Not like yours but I did have a major lung surgery. I am sending you tons of love foe a quick recovery and millions and millions of pain free breaths. Nothing but love for you n your family. May your recovery be quick and your new adventures start soon. If anyone can overcome this you can! Praying for you Jamie. Much love to you and Nici. Thinking of all of you and praying for you all, as well. As for Jamie's "bum", I'm absolutely certain that he has willingly flashed it to oh so many more than just 30 people in years past! Oh Jamie! We are so sorry to hear of your challenges. Best wishes to you and Nici. I met you Jamie, when i visited Ohio with your Aunt Cara. Don't think i've seen you since! But i know you are a good man cuz im still friends with your wonderful family. Sending prayers and positive thoughts for a speedy recovery! Sending love from the McElroys! You got this Jamie! Wishing you great success and fast healing! You will be in my prayers! God Bless. So very sorry to hear about this Jamie. You'll be in my family's thoughts and prayers for a speedy and successful recovery. Hang in there my friend.